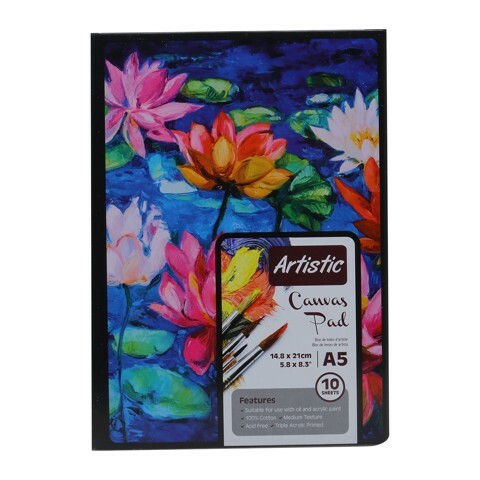 Artist Canvas Pad A5 10Sheets. A5 : 148 X 210MM. WHITE CANVAS. CANVAS | PAPER. 280GSM CANVAS Packaging: SHRINK WRAP.